KickassTorrents today makes a comeback with its familiar and much-loved User Interface, terrific search engine and the latest torrents. The website which used to operate with Kat.cr is now operating with a totally new domain, katcr.co/new/ and is in the process of setup so you may meet with several hiccups if you are trying to access it right now. It has been almost five months when FBI, Police and other law enforcement agencies managed to shut down the trusted torrents website, KickassTorrents. In the process, they also arrested its alleged founder Artem Vaulin in Poland and based on an order by a federal court in Chicago, the FBI seized all official KAT domain names including kickasstorrents.com, kastatic.com, thekat.tv, kat.cr, kickass.to, kat.ph and kickass.cr. While 2016 was a bad year for the torrents community, there is a big good news coming your way at the fag end of the year. With the arrest of Vaulin, the resurrection of KickassTorrents seemed impossible but shortly after the shutdown, several KAT-crew members regrouped to launch a forum at Katcr.co. In some posts on the forum, the KickassTorrents crew had hinted at making a comeback and finally today we see that KickassTorrents is back in a resurrected avatar. The original Kat.cr and other KickassTorrents domains are still under FBI so the KickassTorrents crew have gotten a new domain Katcr.co with the torrent site operational from katcr.co/new/. The site starts with a clean user database but many members of the original staff are on board. Also, the original renowned uploaders of KickassTorrents, whom the torrent community trusts, are also backing the new KickassTorrents project. 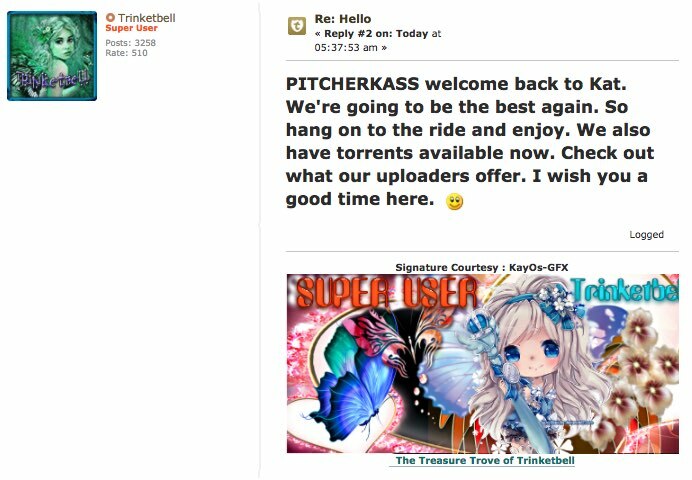 The news that matters most to torrents community is that the new KickassTorrent site is similar to the dead and buried Kat.cr. Talking to TF, the KATcr team said that the majority of original KAT site admins and crew have joined the new endeavor. “This shows the loyalty, dedication and real love for KAT that we all share,” he added. The website is up and running properly now.